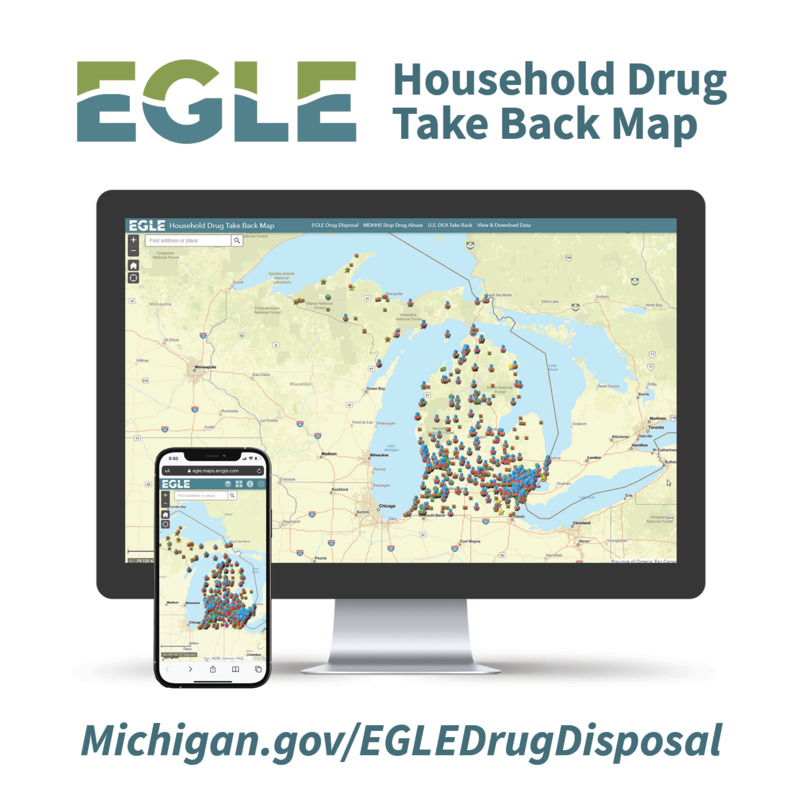 Proper drug disposal is important because it helps protect human health and our environment. Unwanted drugs should not be flushed down the drain.Medications should be kept secure when in the home to prevent unlawful use and regularly disposed using the steps shared in our drug disposal MDEQ Minute YouTube video and Save a Life card. When drugs are no longer needed, they should be taken to a collection for incineration to destroy the chemicals within them and prevent them from entering the water resources we use for drinking water. If this is not available, follow the instructions provided to dispose of them in the trash. Over the last decade, prescription drug abuse and accidental death from drug abuse has skyrocketed. Over the last several decades,studies have shown that pharmaceuticals also persistent at low levels of in our surface water and ground water. Although there are no known health risks to people, there are known impacts to amphibians, fish, wildlife, and bacteria. Without improvements in disposal and our wastewater treatment technologies, the level of pharmaceuticals in our water is expected to increase as more and more people continue to take more and more medications. For more details on proper disposal of unwanted medications from households and healthcare, please see the resources below. Is my Medication a Controlled Substance?